Our Pokemon League consists of a group of people who like to play Pokemon the Trading Card Game and want to earn free promo cards and trainer items. There are no age restrictions. Players drop-in to play a few matches with other players. You don't have to be there every week or stay for the full two hours if that is inconvenient for you. This is a good way to learn how to play and just to have fun with other Pokemon fans. How do I earn free promo items? Once you register, we will fill out a season card for you where we will track the number of matches that you play. Please remember to let us know how many matches you've played when you are here. For every 8 matches, you'll receive a promo card, or an online code card. Is there a cost associated with the Pokemon League? You will need a legal Pokemon card deck to play (60 card theme decks available for purchase). If you are unsure of whether you will like the game, ask us if you can borrow a deck to try it out here. We have a few to lend out to responsible players. We will also teach you how to play if you are unsure of the rules. There is no cost to join the Pokemon League or to play Pokemon in the Game Zone during League times as long as you register online for a Pokemon Play! Account. Why do I need to register for an online Pokemon Play! Account? In order for the store to receive enough promotional cards and pins, all of our players need to be registered with Pokemon.com so that they know how much to send us. If we have unregistered players then we will not receive enough items for everyone and we do not want people to be disappointed. How do I register for an online Pokemon Play! Account? 1. Go to: http://www.pokemon.com/us/ and click on the "Join Now" area in the top right hand corner. 2. Enter the required information. Note: You will need a valid e-mail address. 3. Validate your account by logging into your e-mail and using the link to confirm your account. 4. Come out to the store on a League day and receive a Player ID card with your player number and a unique PIN. 5. Log in to your Pokemon account, go to the "My Play Pokemon" tab and enter your Player ID and PIN. You will also be able to set up your profile at this point. If you want to be eligible for other player rewards, make sure to check the box under "Play Pokemon Preferences" that says you want to be elegable to collect Play! Pokemon Points. 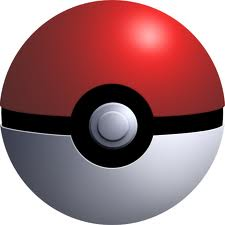 If you are under 13, your parent will have to sign up for a Pokemon Play! account in order to set the privacy settings for your account. For parents, if your child does not have an e-mail address, you can enter your own address in that space. Both the parent and the child account must be validated via e-mail. Once both accounts are set up, the parent will need to log into their account, click on their child's name, Click the "Play! Pokemon" tab, Enter the Player ID & PIN number that you received when signing your child up in store.